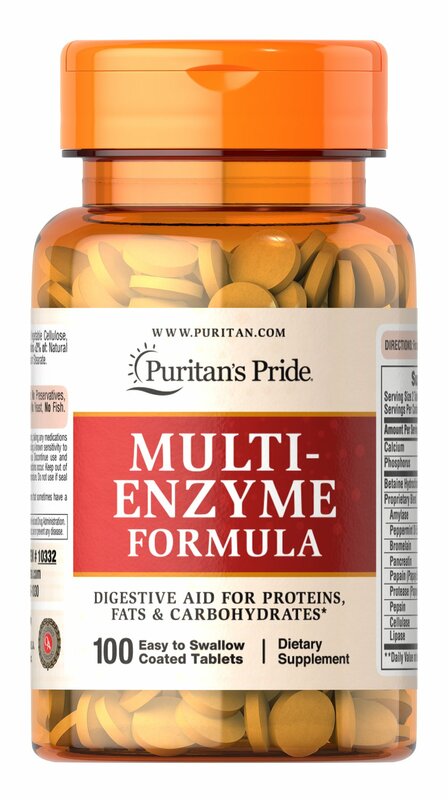 This product is a digestive aid for proteins, fats and carbohydrates. 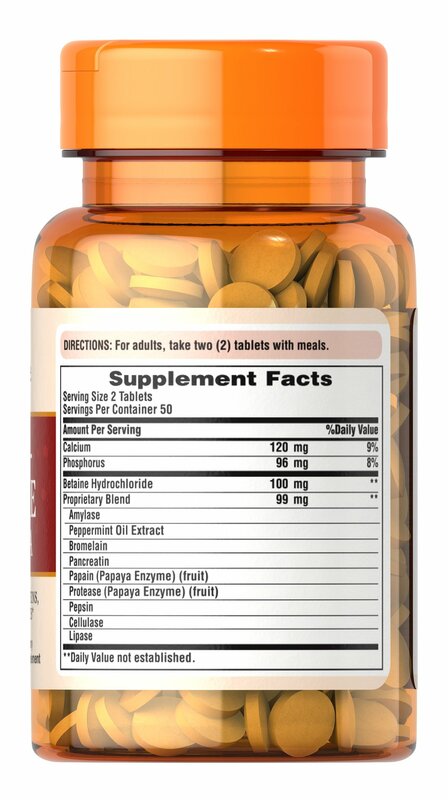 ** Ingredients include betaine hydrochloride, pancreatin, amylase, protease, bromelain, papain, pepsin, lipase and cellulase. 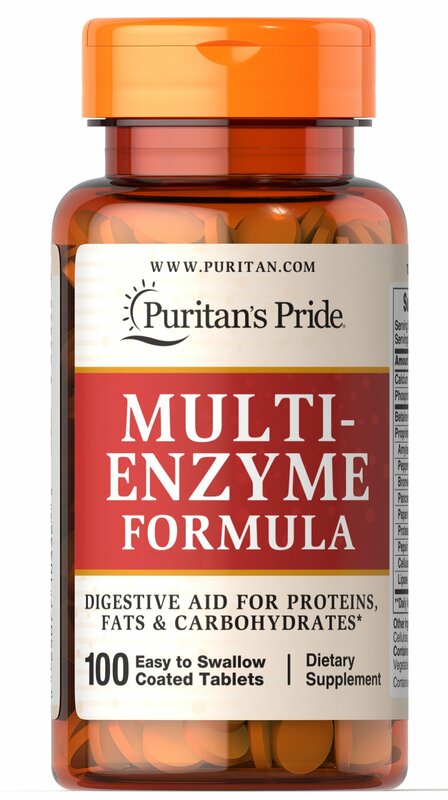 Enzymes break down the nutritional components of proteins, fats and carbohydrates, making these nutrients available for the body’s energy needs, cell growth and other vital functions. 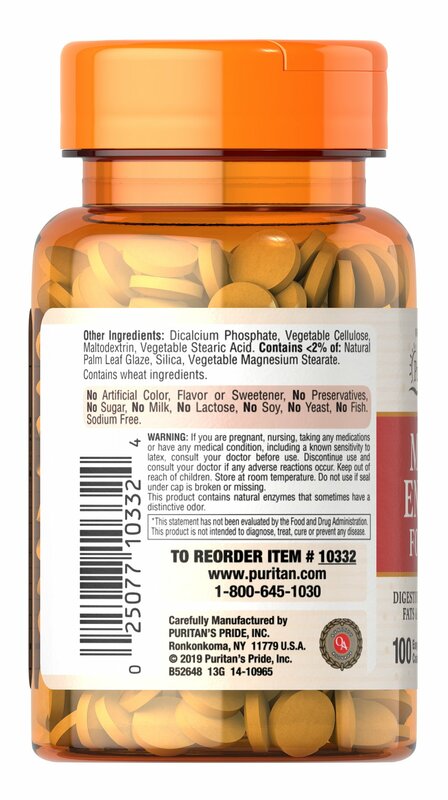 ** This product is coated for ease of swallowing. 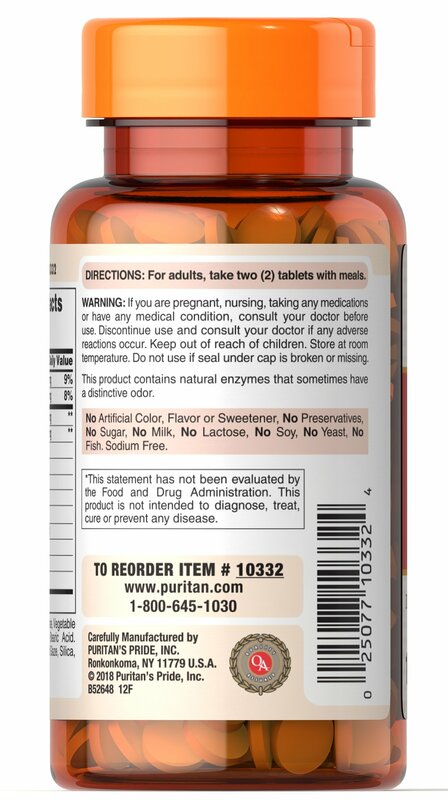 Adults can take two (2) tablets before or after a meal.